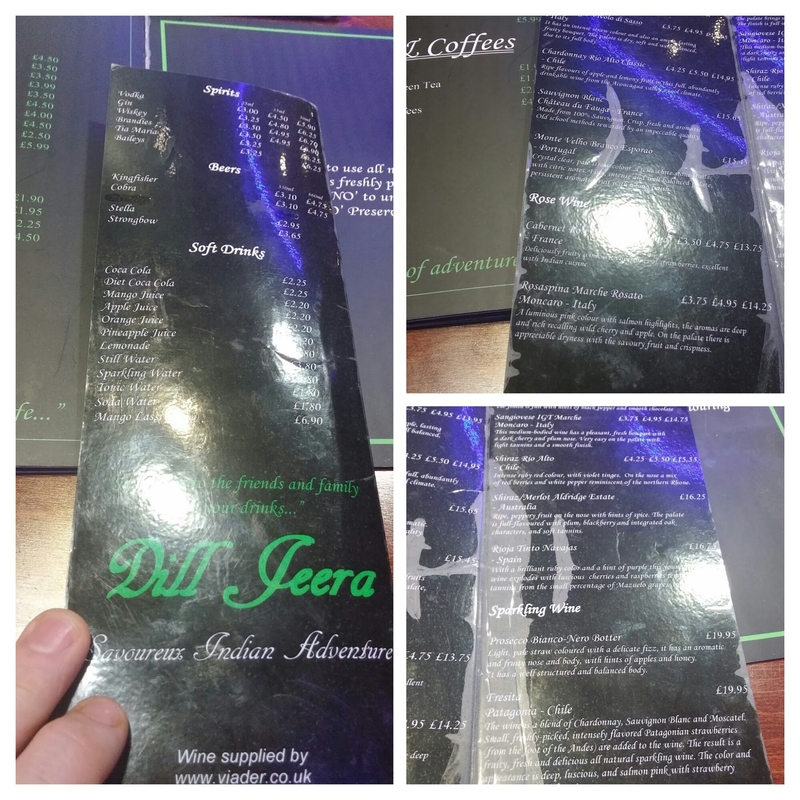 Tikka and tandoor with a twist – Dill Jeera, Llandaff North, Cardiff. UPDATE: Closed May 2018. 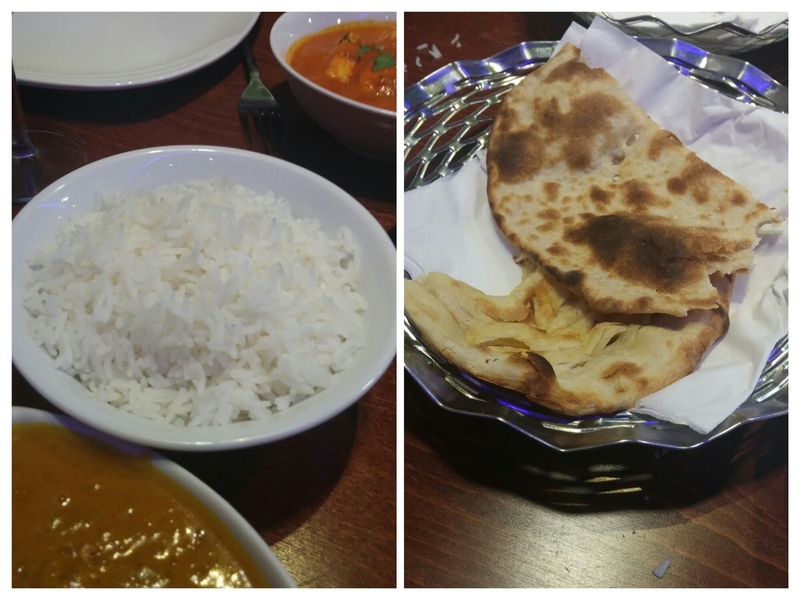 It is fair to say that Cardiff is somewhat blessed with top notch Indian restaurants (a different animal, in my view, to your common or garden curry house). Think the Purple Poppadum, Mint and Mustard, Moksh and Chaiholics. 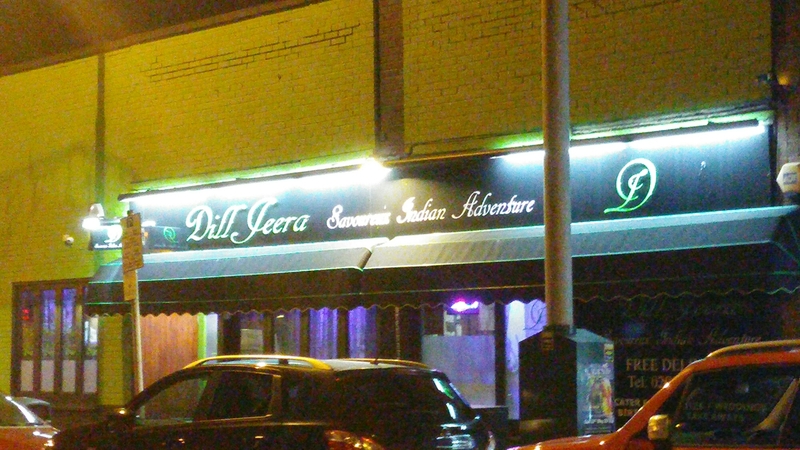 Another candidate to be added to this list was brought to my attention recently in the form of Dill Jeera, in the somewhat unlikely setting of Llandaff North. As it is a shortish hop from my Llandaff base, Mrs. SF and I and a couple of friends decided to give it a go. 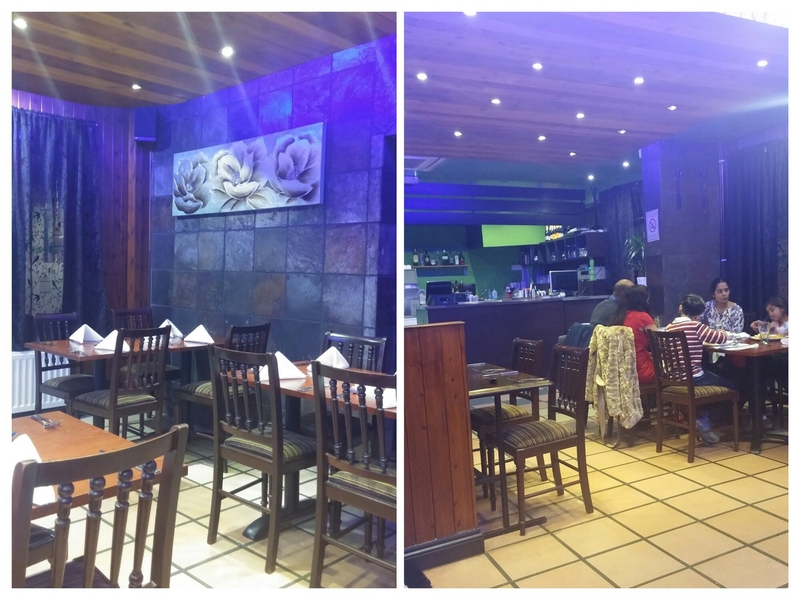 Reviews of the place suggest a hidden gem offering quality (not your average curry house fare) food and good (rather than cheap, cheap) value. This all sounded very much my cup of “chai” so to speak. On the outside it is a rather vibrant green. I didn’t know precisely where it was, but there was no missing it on the street. Inside it was much more understated and a little cold feeling. All a bit sterile. Needs a little something to make it more cosy and welcoming I think. Wooden rather than tile flooring would certainly help. 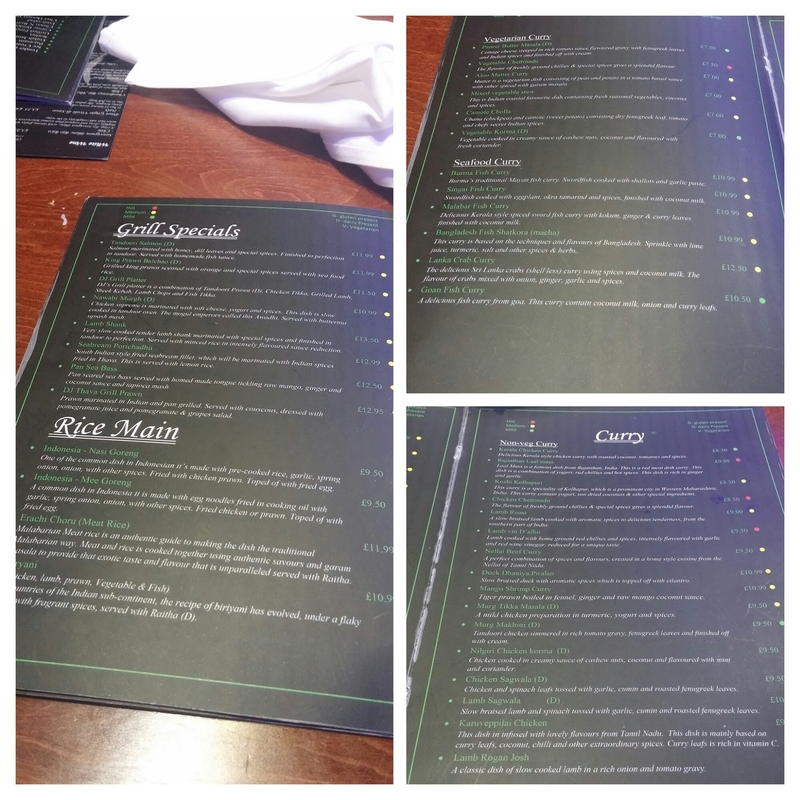 On the food front the menu provides a nice variety of regional cooking from around India, with perhaps a focus on the South (Goa, Kerala and Tamil Nadu – oddly an Indonesian dish also appears). 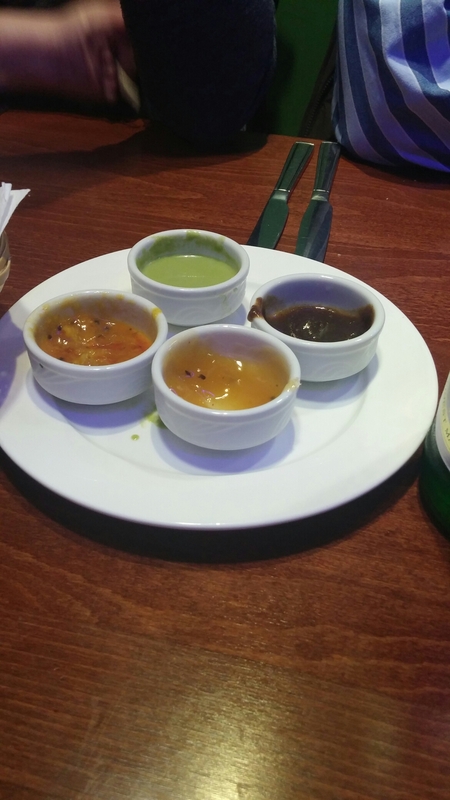 We started off proceedings with a basket of poppadum shards (£2.50), with a medley of dips (mint, mango, lime and fig – we had dug into them before the below photo was taken). The pick of these were the very moreish fig one and the, quite fiery, lime pickle. 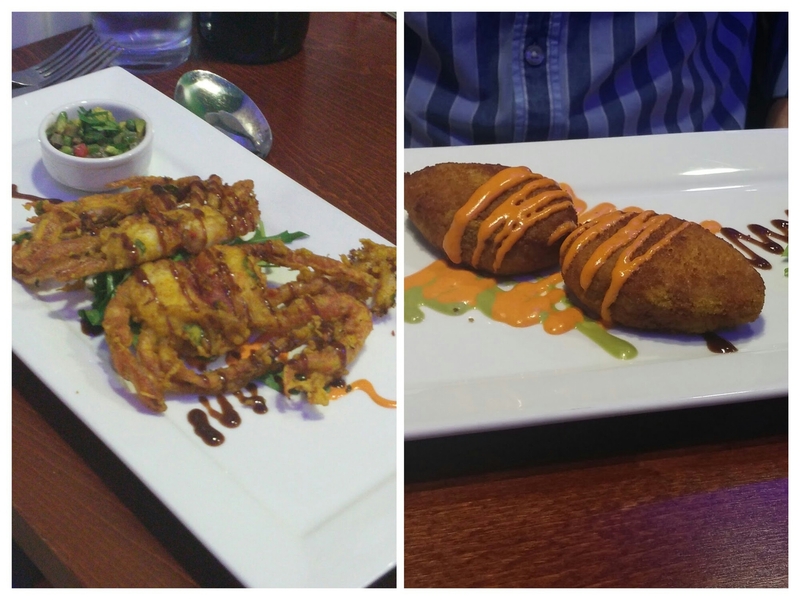 On the starter front they have an interesting selection ranging from the well know in the UK (chicken tikka – with as the title suggests a twist from the norm) to the less familiar such as spice doughnuts (described as a street snack from Tamil Nadu – made with bread, onion and gram flour with curry leaf). Tender, meaty, baby chops with a lovely crust from the tandoor and a nice hit of spice. Really good and nice to see a decent, properly dressed side salad with them. and a veggie dish (veggies are well catered for here) in the form of bharwa kalan (£4.50), which consisted of deep fried mushrooms stuffed with peppers, onions and paneer cheese with (of course) generous spicing. 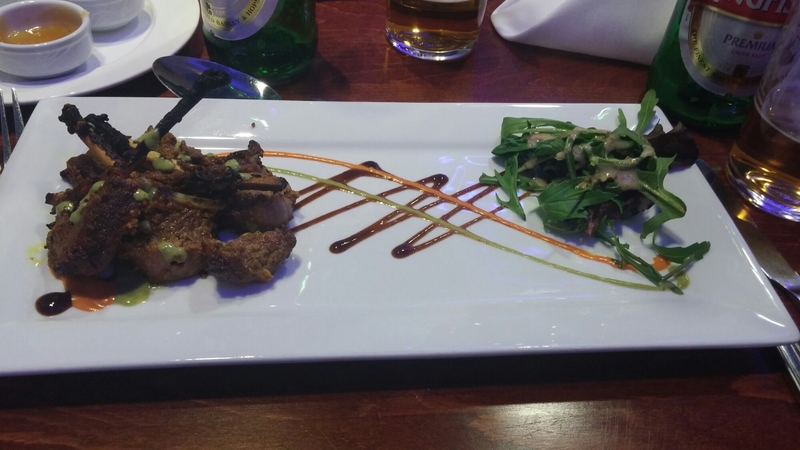 All good, but the little lamb chops were the star of the starters for me. 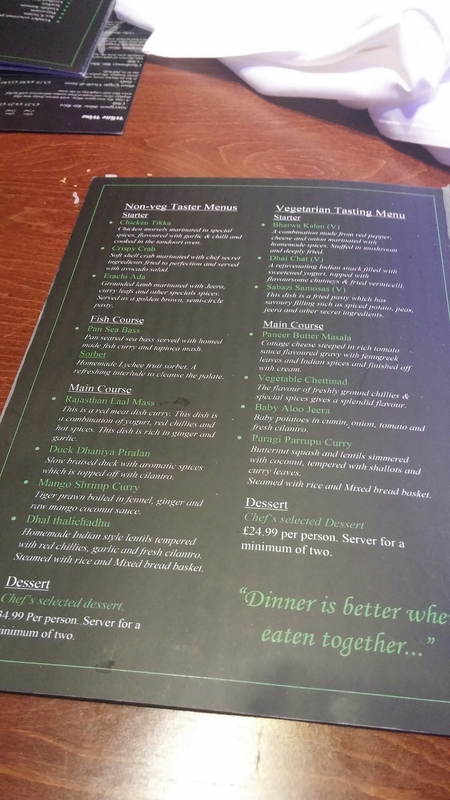 On the mains front they have quite a wide selection, which ecshews your standard curry house dishes. If you want to push the boat out they have a veggie and non veggie tasting menu, which looks to be pretty good value at £34.99 and £24.99 respectively. Beautifully tender lamb and a spicy rather than hot gravy made this a very satisfying dish. 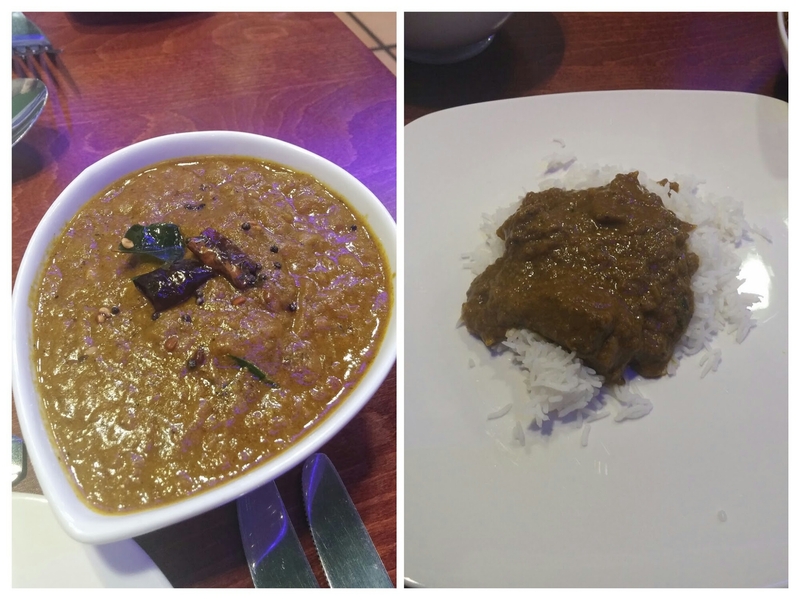 Indian comfort food for a wet and windy winter’s night. Other dishes ordered were a Kerala chicken curry (£8.50 – quite mild with good spicing and roasted coconut to the fore, but lacking perhaps a bit on the chicken to sauce ratio), an unpronounceable Karuveppilai chicken ( £9.90, nicely laced with curry leaves, coconut, and chilli – more chicken in this one than the Kerala chicken) and a Burma fish curry (£10.95, swordfish cooked with shallots and a garlic paste). All pronounced as very good, bar from a slightly mean amount of chicken in the Kerala chicken dish and the swordfish looking just a touch over. On the sides front, we were advised that a rice each and breads would be too much and that 2 rices and 2 breads would be more than enough for the 4 of us. I liked this no upselling approach from our very pleasant waiter. The plain steamed basmati (£2.50 per portion) was perfectly cooked, being properly seasoned and nicely fluffy. Breads ordered (on the waiter’s recommendation) were a tandoori roti (£1.50) and a laccha parotta (£2). Both were top notch,”with the layered parotta the pick of the two. On the booze front they have the standard offering of Cobra and Kingfisher beers (we had 2 large bottle at £4.75 each). I would have liked to have seen a craft beer or two personally. I quite like an IPA with a curry myself. Wine wise, the list is short (and a bit lacking especially on the white wine front – where are the Rieslings and Gewürztraminer wines which have a great affinity with curry). Some Indian wine (such as Soul Tree’s offerings) wouldn’t have gone amiss either. 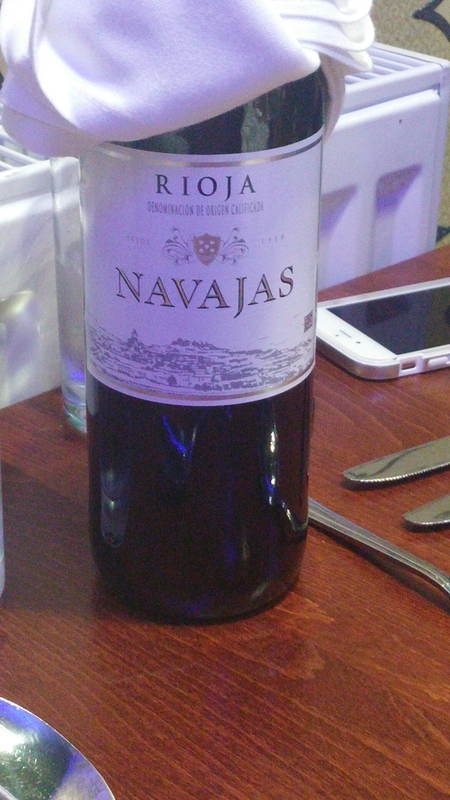 Having said that what is on the list is keenly priced and we ordered a very serviceable bottle (or two) of the Rioja on the list for the very fair price of £16.75 (the wine in question retails at around the £8 – £9 mark). 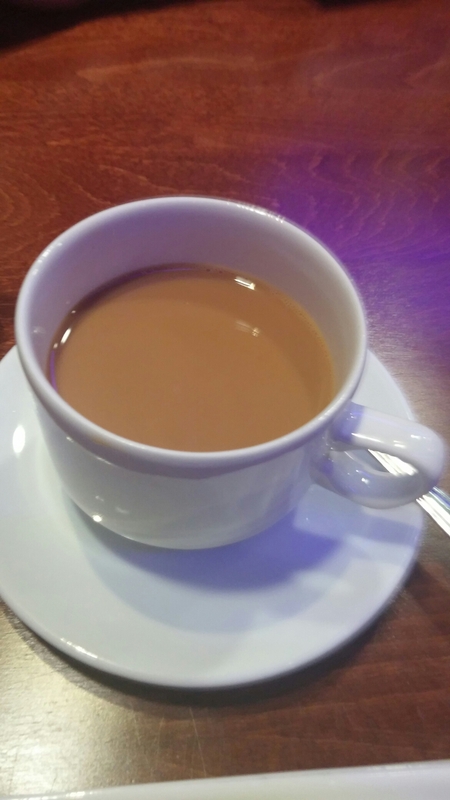 Proceedings were bought to an end with filter coffees (bit on the weak side) and a masala chai (lots of cardamon, which I like, but not as sweet as I am use to or would like – may be just my personal taste). 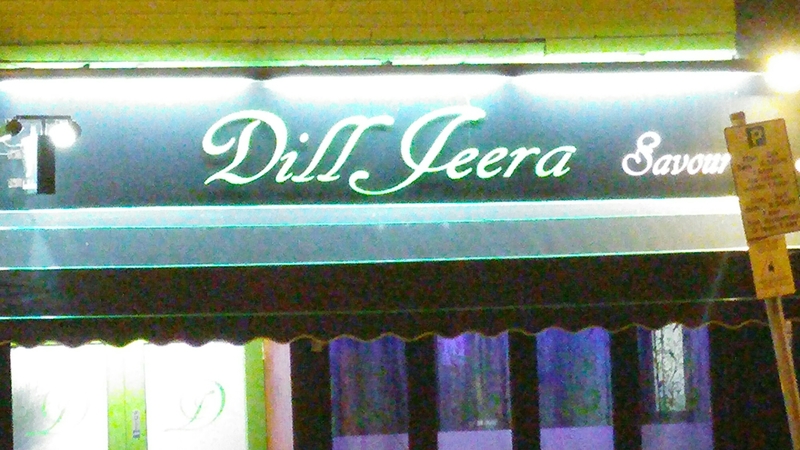 A rather good meal is to be had at Dill Jeera, which lived up to its billing as a bit of a hidden gem. 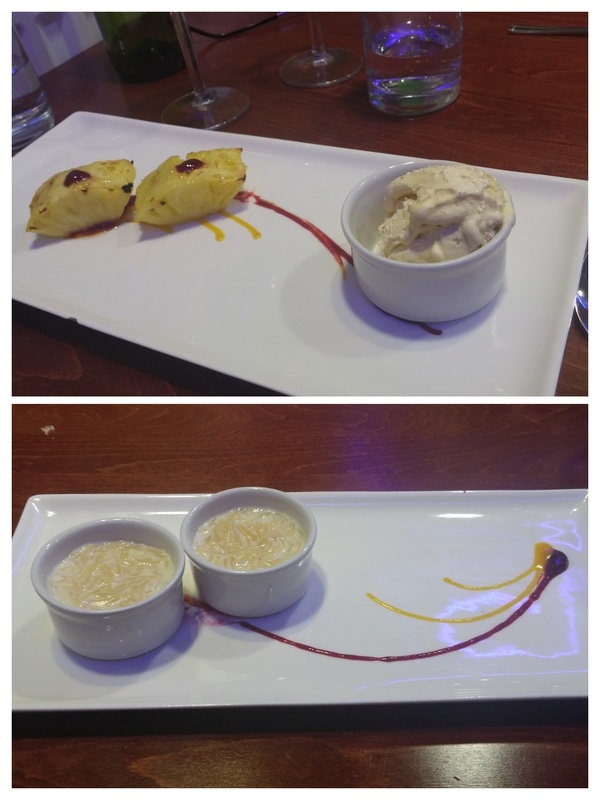 Good, flavoursome food and very amicable service made for a pleasant evening all around. Would be nice if it was a bit more cosy inside mind. 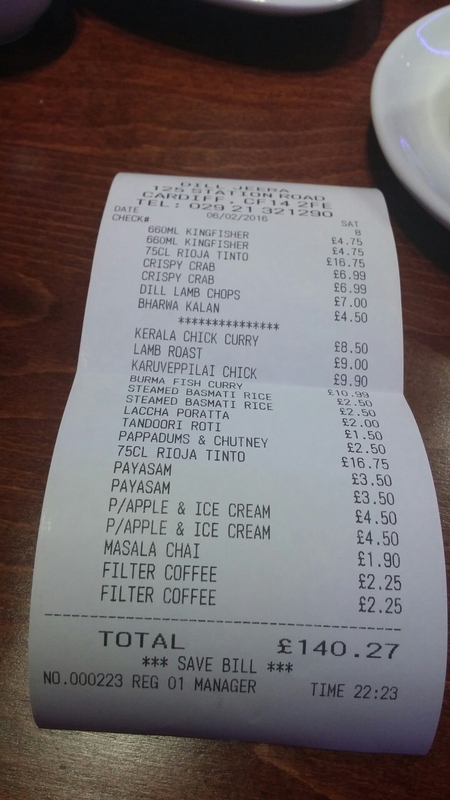 On the bill front it was just over £140 (ex. 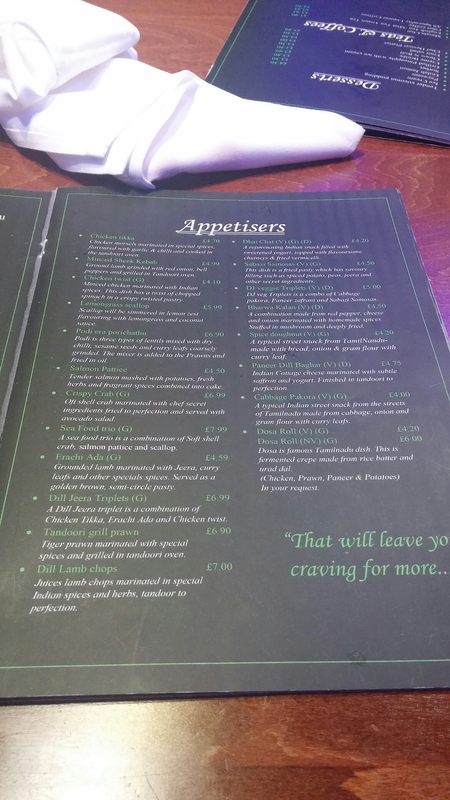 tip – we gave a well deserved one) which for 3 courses, booze (including 2 bottles of wine and beers) and coffees for 4 people was in my view excellent value. Would I go back? 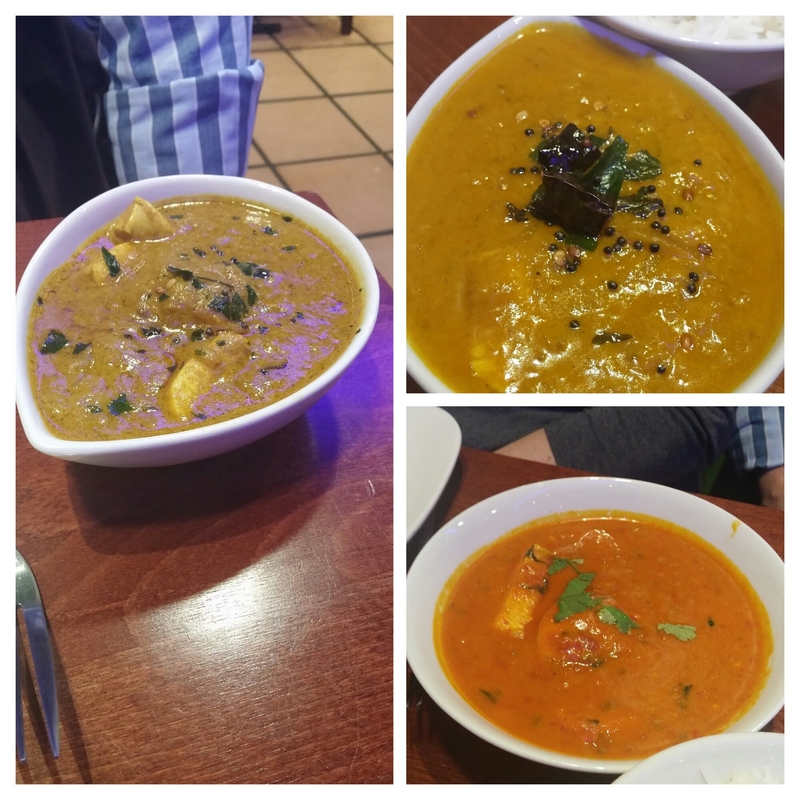 Definitely – great little place and a viable and cheaper alternative to the posher Cardiff Indians (like Mint and Mustard or the Purple Poppadum). They also do take away and I will definitely give that a go. Couple of things I would suggest. Pare back a bit on what is a rather large menu (what, for instance, is an Indonesian dish doing on there) and get some Riesling and Indian wines on that wine list. Website: none at time of writing, which is a pain, but they told me one will be up very shortly. Facebook page acts as website in the interim. 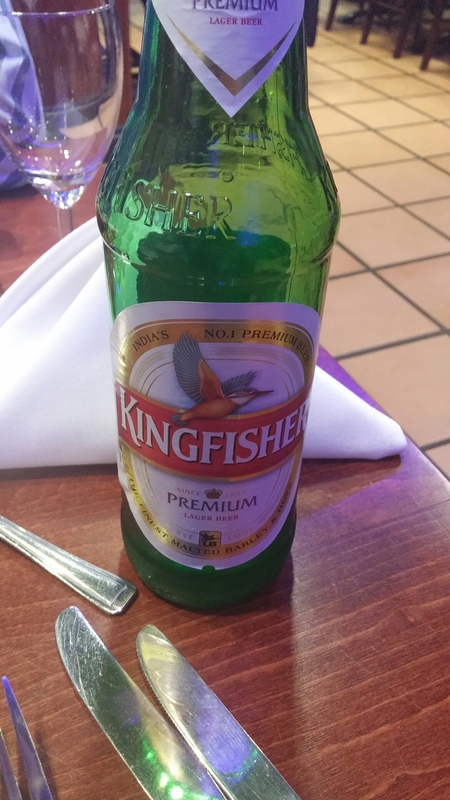 This entry was posted on Feb 14, 2016 by solicitingflavours in Alcoholic drink, Beer, Cardiff, Cardiff restaurant, coffee, craft beer, Curry, Dill Jeera, Drink, Food, Food and wine products, Indian, Indian wine, IPA, Kerala, Llandaff, Llandaff North, New restaurant Cardiff, Red Wine, Restaurant Review, review, Rioja, Spain, Spanish wine, Takeaway, Tamil Nadu, Tasting menu, vegetarian food, Wales.